When the time comes to retire a lot of retirees these days are choosing Arizona. 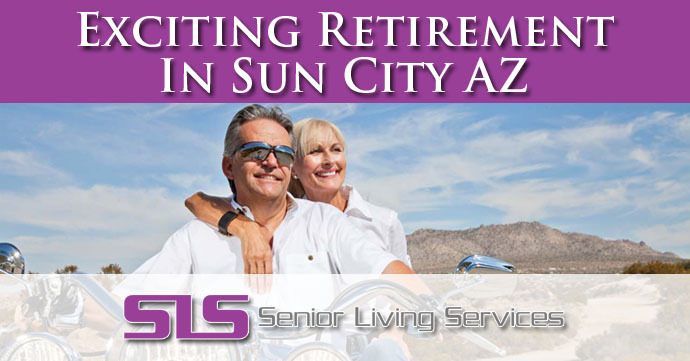 There are a lot of cities in Arizona to retire in so you have to choose carefully. 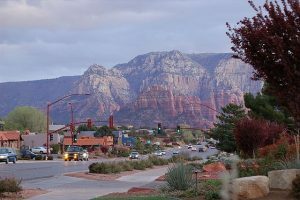 You have a lot of options so you might ask yourself “Why Retire In Sedona Arizona”? Sedona is located in the high desert of Arizona under the towering southwestern rim of the expansive Colorado Plateau. The city enjoys four mild seasons which are characterized by clean air and abundant sunshine. Temperatures are moderate and pleasant with average highs near 75° and winter lows of about 46°. Sedona is a unique place full of beauty and is situated strategically at the mouth of the spectacular Oak Creek Canyon. The area is complimented by massive formations in red-rock alongside beauty of Oak Creek Canyon. Many residents cherish these views, vistas, and consider the natural beauty of the area to be equal to many of the national parks. Sedona is considered one of the state’s premier resort, recreation, retirement, and tourism destinations with great views and art centers. This means that it is great for residents and even more fun when family or friends come to visit. There is lots to see, lots to do, and all of it happens with the beautiful backdrop of the rugged beauty of the high Arizona desert. The Sedona Arts Center is a place to discover, learn, and share in the arts. With both permanent and special exhibitions paired with education and artistic development it is a great resource for residents and tourists alike. The center is a nonprofit educational institution which enriches the lives of visitors with fine arts, the largest collection of local artists, and instruction for aspiring artists. Opportunities for learning are offered in weekly classes, art workshops, and even field expeditions. There are private lessons available for focused mentoring. Enriching retirement with artistic expression can be one of the most meaningful pursuits many people experience in life. The amazing natural beauty of the area quickly put Sedona on the map and became a favorite place for the motion picture industry to film movies, commercials, and other productions. 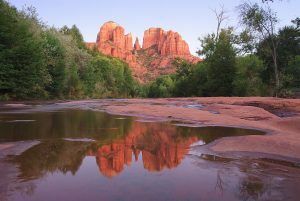 Even today Sedona is the backdrop for television shows, commercials, and movies are still filmed in the still wild natural beauty which surrounds the city. Finding exciting events in Sedona is easy. With music festivals, art festivals, chili cook-offs, aeronautical events, wine festivals, and events for just about every holiday there is nearly always something going on soon. Every month has many activities that make fun opportunities to invite friends and family to come visit and enjoy with you. 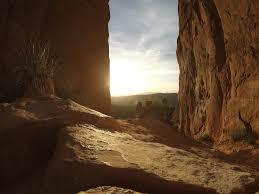 For more information about what is coming up on the calendar of events for Sedona please check out the events list page. 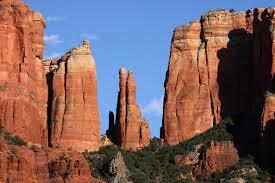 The population of Sedona is about 10,000 people according to the 2013 Census report. The economy is booming with a vibrant array of retail stores, hospitality services, healthcare, and construction. Finding a place to enjoy a stroll, walk the dog, take the bike for a ride or even make a splash at Sedona’s splash park is easy. The city features 11 parks which feature well manicured landscapes, areas to bike, walk your dog, take time to remember our Military Services, or take kids to play in the water. When an area is as beautiful and popular such as Sedona guarding that beauty becomes a priority. The Sedona Chamber of Commerce & Tourism Bureau is dedicated in preserving Sedona’s stunning natural beauty for both residents and tourists alike. In addition to protecting the natural beauty of the area Sedona features a vibrant “green” economy which helps provide meaningful employment and living wage. Ultimately every decision is made to protect nature, the residents, and preserve this natural gem which makes Arizona one of the finest places to retire in the United States. 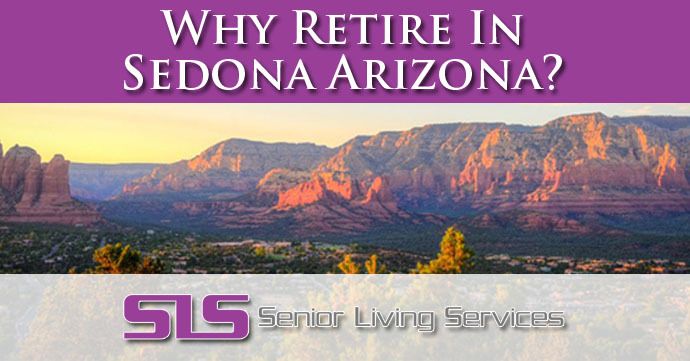 SLS Communities offers the finest retirement facilities in the state of Arizona and operates Sedona Winds Retirement Community. Independent living is complimented with assisted living and memory care services. This makes it easy for active adults to enjoy the beauty and excitement of Sedona with a wonderful community to call home. For more information about SLS Communities or Sedona Winds please click here or call 480-348-9609. Are you searching for “What is Assisted Living?” while seeking additional information about this great retirement community service? If so SLS Communities has all of the information you need to better understand what it is, who it is for, and how it enriches the lives of the people that choose to make it part of their lives. Assisted living is an option for long-term senior care which offers personal care support, including medication management, meals, dressing, transportation and bathing. Assisted living was a rather new concept just 25 years ago, but today it is one of the quickest growing options in long-term care for seniors. Facilities for assisted living has a large variety of services, providing senior housing solutions for the adults that are still able to live independently and only require certain assistance. Many seniors fin that the option of assisted living offers the amount of care needed for them to continue flourishing in the new stage of life. Their golden years should be enjoyable, and that is where assisted living has developed more options than ever. There are many communities which charge basic rates to cover all of their services, with extra fees for specialized services. The majority of assisted livingcommunities will charge monthly rates, but have a long-term option as well. Usually, the base rate will cover only room and board with a daily meal service, which is determined by the assisted living community. There are times where entrance fees, laundry, deposits and housekeeping fees apply. However, as these vary at each community, it is significant that you request the individual details from each of the communities you look at, including costs and services. When it comes to assisted living communities, each one is different in their own ways. Each province and state have various regulation and licensing requirements for providers in assisted living, which can impact certain services being offered at the community. For instance, there are assisted living facilities that are associated to or share the campus with skilled nursing facilities. Therefore, those communities are able to provide medical care that is more advanced. However, generally assisted living communities only offer basic medical care, monitoring and activities each day. The activities of daily living (ADLs include things such as eating, dressing, hygiene, mobility, toileting, bathing, shopping and using the phone. 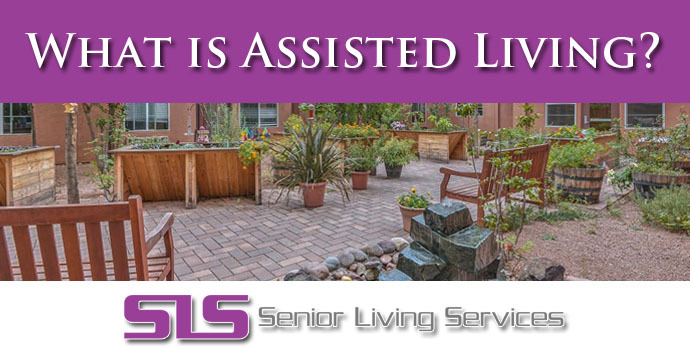 “Assisted living” is a term in the industry that defines specific facilities and/or communities. The term may or may not be used for reflecting the official state or provincial needs concerning the care level, licensing, and/or services provided. It is recommended that you request to see the license and/or contact the province or state’s licensing authority to clarify license type, care level, and/or services provided by the assisted living community. Today’s seniors are much different than seniors in the past, as most will continue to live active and fully, with a balanced life. Therefore, the choice of moving into a senior community, assisted living or other type of senior housing can become a confusing endeavor for both seniors and family members. The process of determining which assisted living community can seem complex, but luckily resources are available to help you out. We have gathered questions for asking, and things to consider when looking into assisted living communities. Deciding on the correct community will require serious thinking, so you should take the time to evaluate the features, services, and policies of each community. When arriving to the residence, do you find the appearance of the location to be nice? Did you get a warm greeting from the staff welcoming you? Is the decor homelike and attractive as your taking a tour? Are residents called by name by staff/administrators, with warm interaction? Are residents social with one another and seem comfortable and happy? Are you allowed to speak with residents regarding how they like the staff and residence? Is the staff dressed appropriately, outgoing and personable? Do the residents appear to be the appropriate housemates for your loved one? Are the staff members treating each other professionally? Are you able to visit the resident at any time? Are staff members friendly as you pass them on the tour? Do they have a simple floor plan? Is there a well-designed community that it your needs? Are the hallways, doorways and rooms accommodating for walkers and wheelchairs? Are the elevators available for people who cannot use the stairway? Are residents visited regularly by nurse or physician to provide medical checkups? To what extent are medical services offered, and how are the serviced provided? Are there handrails to help with walking? Are the shelves and cupboards easily reached? Are the floors designed with non-skid materials or carpets that are easy to walk on? Is there a good amount of natural and artificial lighting for residence? Is the residences clean, without order and have appropriate heating and cooling? Are there clearly marked exits and available sprinklers? If residents wander, do they have means of security? Are there written plans on how to care for individual residents? Is there an available contractual agreement disclosing supportive and healthcare services, fees, and admission and discharge provisions? What policies for transfers and refunds do they have? Is there a process for assessing the service requirements for each resident and are the requirements addressed periodically? Does the process involve the resident, the facility staff or his/her family, as with the physician of potential residents? Are any private, government or corporate programs available to assist covering service costs of the resident? Is residence able to provide a list of available services? Is the staff available to meet both unscheduled as well as scheduled needs? Is the staff able to provide assistance 24 hours with activities of daily living, if required? ADLs include eating, dressing, hygiene, mobility, bathing, grooming, toileting, and the use of phone, laundry and shopping. Do they provide housekeeping services within the residents’ unit? Are residents able to arrange transportation on short notice? Are barber/beautician, pharmacy, and/or physical therapy services provided on-site? When looking for the right assisted living facility, it is significant to discover as many details as you can in regards to the governing regulations in the facilities area. Currently, there are no federal regulation policies when it comes to assisted living facilities. However, as the requirement for assisted living increases rapidly, various states are quickly trying to develop a regulatory system. At present, two out of five states already have assisted living licensure regulations, while one out of fine states have revised or drafted assisted living regulations. About 20% of states have started to study assisted living. Sufficient number of staff to meet any requirements that occur unscheduled. If you’ve assessed residential facilities and are confident that assisted living is the comfortable option for your loved one, your next step is contacting a case manager, financial planner, clergy ember, physician, hospital discharge planner, or a social worker to ask about the facilities in the region. Additional information can be found regarding assisted living by investigating any of the 16 assisted living companies that are publicly traded, including American Retirement Corporation, Alternative Living Services, Atria Communities, Assisted Living Concepts, Balanced Care Corporation, Capital Senior Living, Brookdale Communities, CareMatrix Corporation, as well as Sunrise Assisted Living. Even better, request information from more than one person and collect details about multiple companies. Once you collect all the details and information you can for the facilities in the area, ensure that more than one facility is visited. This will allow you to get a feel for the various assisted living facilities and what each one can offer. What are the full range of services profited by the facility? How are payment plans set-up? What services come with the base monthly plan? How does the facility identify the care services my loved one will require, and how frequently will they be reevaluated? Who conducts the resident evaluations? What is the policy for the use of outside services? Does the facility require a deposit, is the deposit refundable in the event my loved one needs to move? In the event requirements increase or decrease in time, will the changes be reflected in the fees? How long of a notice will my loved one be provided if/when a change in fees occur? Can the fees be increased, even if the needs of my loved one does not? If you are looking the best assisted living communities in a state where the weather is comfortable and mild during the winter SLS Communities currently has 4 locations to serve you or your loved ones. The level of care for each and every resident is tailored to their needs and preferences. Our highly trained staff is dedicated to the needs and dignity of our residents and work each and every day to create a environment of caring and professionalism.